Description: The symbols of enlightenment, encouragement, clarity and reassurance, candlelights demonstrate how love brightens our lives. 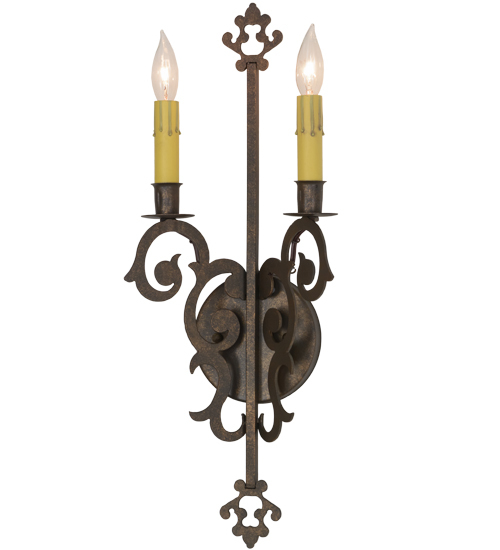 Like joining two individuals into one couple, Aneila pairs two faux candlelights topping miniature bobeches with old world designed hardware and back plate featured in a Gilded Tobacco finish. Handcrafted in the USA.